Is it just me, or does the Southland Chamber of Commerce sound more professional and well-thought than our local chamber’s (non value-added) offhand patter ??? Why would we think that. The Otago Daily Times asked the chambers of commerce in both Otago and Southland to provide 10 reasons why their city should win the bid as Anadarko’s support base. Anadarko drill ship Noble Bob Douglas has begun test drilling 65km off the coast of the Otago Peninsula. 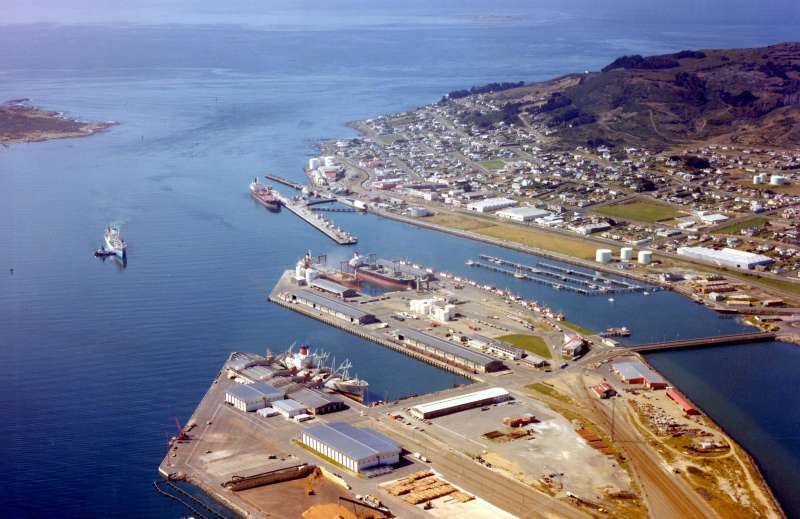 The search for gas and oil has millions of dollars worth of potential for the city – either Dunedin or Invercargill – chosen as the support base. And the winner is . . . (on paper) the far far south. The use of dinosaurs to promote an oil industry roadshow is a “cynical ploy”, says a curator at Whanganui Regional Museum. The roadshow What Lives Down Under is touring South Taranaki and Wanganui to explain the work of New Zealand Gas & Oil, Beach Energy and Tag Oil. 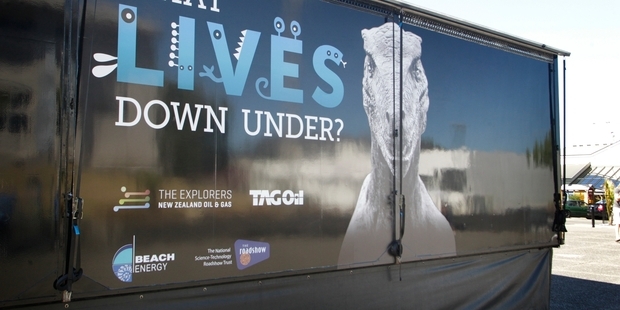 It has a large dinosaur on the side of the roadshow big truck and the image is used in the promotional material. The museum’s curator of natural history, Mike Dickison, says dinosaurs have nothing to do with oil. “It was not an educational show at all but is entirely funded by the gas and oil industry to convince kids that drilling is safe and cool.” The roadshow website linked oil and dinosaurs saying “the gas in your family’s car might have been a dinosaur”, which Dr Dickison said was incorrect. 13.4.10 Dunedin – an oil base? 18.3.10 Dunedin harbourside for oil base?